The city would like to see the notorious juvenile detention center on Spofford Avenue transformed into a haven for good jobs and affordable housing. HUNTS POINT — Spofford, the notorious Bronx juvenile detention center, could transform into a haven of affordable housing and high-quality jobs if the city gets its way. 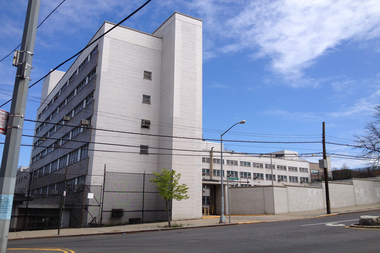 The New York City Economic Development Corporation is looking for someone to redevelop Hunts Point's former Spofford Juvenile Detention Center, which closed in March 2011, and officials have specified that they would like to see the site used for a residential and commercial project that would bring affordable housing and jobs to Hunts Point. The jail gained its bad reputation for its verbally and physically abusive staff members and poor living conditions, which included serving kids food that was infested with roaches and giving them clothes and underwear that had already been used, according to a 2004 report from the Correctional Association of New York. The site is located on the northern side of Spofford Avenue between Tiffany and Manida streets and made up of four land parcels that total roughly 207,000 square feet. A Head Start program called La Peninsula occupies a portion of the land, and all proposals must include a strategy for relocating or redeveloping this facility, either on-site or at a nearby location, according to the NYCEDC. James Chase, a spokesman at the Majora Carter Group, which has long pushed for the redevelopment of Spofford, said the Head Start program was extremely well-run, and he viewed the RFEI as a chance to make it even better. "We definitely want to see a massively expanded and improved La Peninsula," he said. Anyone is welcome to submit a proposal, and the city has encouraged people to consider using the site for anything ranging from cultural programs to manufacturing. The development project is also meant to help support the city's Housing New York plan, specifically its goal of building or preserving 200,000 units of affordable housing over 10 years. Responses to the RFEI are due by 4 p.m. on Oct. 1, and the NYCEDC is requesting six hard copies and one electronic version of the proposals. People can ask questions or request clarifications about the development process by emailing SpoffordRFEI@edc.nyc by Sept. 8 at 5 p.m.
Hunts Point resident Maria Torres said she still wanted to hear more specifics about what EDC was looking for but viewed anything other than the jail as an improvement for the community. "It’s a huge space," she said, "and I feel like anything that goes there, pretty much, is a step up from what it was."